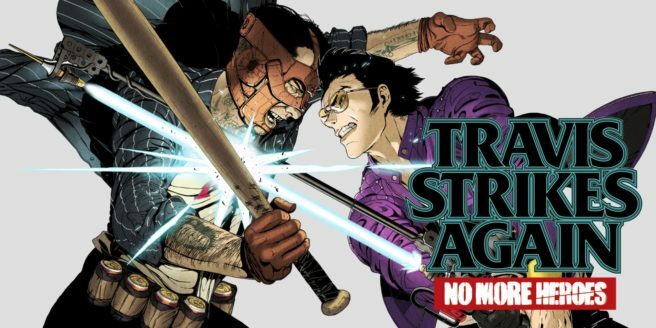 In a recent issue of Famitsu, a lengthy interview with published with Travis Strikes Again: No More Heroes director Suda51. There was some interesting discussion about the game’s creation, ambitious plans for Golden Dragon GP that were ultimately scrapped, and a bit of talk about the series’ future. We’ve now prepared a full translation of the interview. Read the talk with Suda51 in its entirety below. How do you feel now the game has finally been released? Suda51: To put it simply I feel a mixture of relief and nervousness. The thing I am most concerned about is how the game will be received by players. At the January 2017 release conference for the Nintendo Switch there was a personal announcement from yourself on the development of a new No More Heroes game. At that point, were you already working on TSA? Suda51: At that point the concept was fixed and I was working on the planning. From there we built up the framework and the development of the game could really begin. I was already thinking about doing another game in the series. Then when I was approached directly by Nintendo I thought it would be great to be able to work with them. I think that was around the end of 2016. From there we went through a lot of negotiations and began planning the game as an indie title. And TSA basically developed from there. And because of that the game was decided as an indie-like title? Suda51: Yes. The Switch has a good relationship with indie games and I thought it might also be interesting to try developing a No More Heroes game within that framework. But as an unnumbered entry in the franchise? Suda51: The first and second No More Heroes games have a distinctive style, so I thought that maybe giving this title a number might interfere with that. Anyway, eight years have passed since the second game and as Grasshopper Manufacture (from here: GhM) is only a mid-size team I wanted to have a little more downtime. So with the size of the team and the budget in mind, TSA ended up taking the form of an indie-like title. Suda51: I was told by the foreign media that a character like Travis, who is an Otaku but also cool and funny, had not really appeared in a video game before, and because of that he changed the way people view video game characters. They said that due to that that many young indie developers felt freer to create. Because of that I really feel like there is already kind of a connection between No More Heroes and indie gaming. Just like those indie creators, this time around you returned as director for the game. Was there any pressure, even the sense of a challenge? Suda51: Hmm… Yeah I think I might well have felt that way at the time. Having said that, before starting on TSA I worked on the remaster of The Silver Case and then the remaster of The 25th Ward: The Silver Case. Working on these games again I was able to look back on my time as an indie creator working on these titles. I could look calmly back at my old self, and because of that I think I naturally came with the right frame of mind for TSA. Also, when it comes to developers I am definitely a veteran, but I don’t feel like I’m such a famous, huge game developer. (laughs) As there aren’t those sort of expectations, I think that also means there isn’t as much pressure. Well, I think as an indie developer you’re actually considered a bit of a legend… (laughs) Compared to the way things were for you back then, things have changed a lot, haven’t they? Suda51: Definitely. Back then my time was basically unlimited. Right now my workplace and personal life have undergone changes, and because of those various constraints I have to adapt to meet these new challenges. This time I co-directed with Yamazaki (GhM’s Ren Yamazaki) so that we could cover for each other with our limited time. I think that was a good match. When was the last time you oversaw a whole game alone? How do you feel about returning to this franchise? I’m getting this image of the latter career of Terry Funk! (American wrestler also popular in Japan, known for the longevity of his career). Suda51: Entering Deathmatch after Deathmatch, even though my body is on the verge of collapse – that’s probably the right image! (Laughs) Once Terry had retired from the international circuit, he made his comeback on the indie scene. If I can become the Terry Funk of the gaming world I’d be very happy!